I'll answer later, I want to take a photo. - It must be only one! What is beautiful or not is pretty subjective after all. 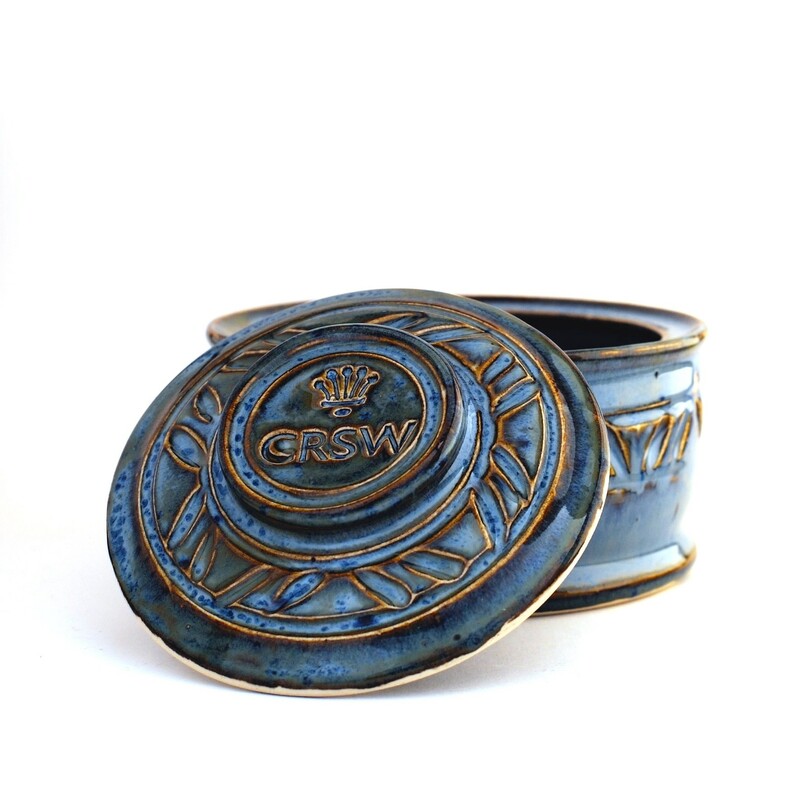 So, which is the most beautiful item in your den? Folks just can’t help but to admire the smiling gent is all. I will give you two objects. 1. 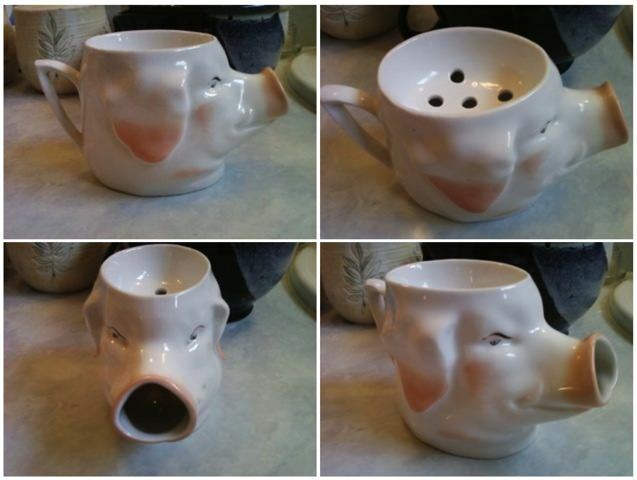 A good friend on this forum gave me this pig scuttle. I do not use is but it does have special meaning. 2. 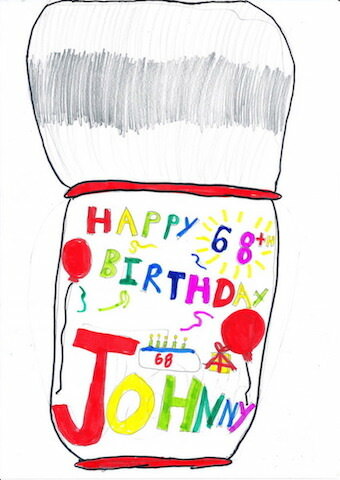 Ben74's daughter drew this for me on my 68th birthday. It is framed and hanging on the wall in my shave den. It has a very special meaning to me. (11-16-2018, 02:00 PM)Johnny Wrote: I will give you two objects. I know this is OT, but I still really miss Ben and his photos and posts. Can't help to wonder if he is doing OK ?!? I hope he will rejoin the forum soon again. Sorry for the OT post. I'm really hard pressed to find a single thing in my den, that really stands out above the rest. Yet I still like the question, but I find it weird, that I can't find one single thing.......I'm shallow, I guess !! 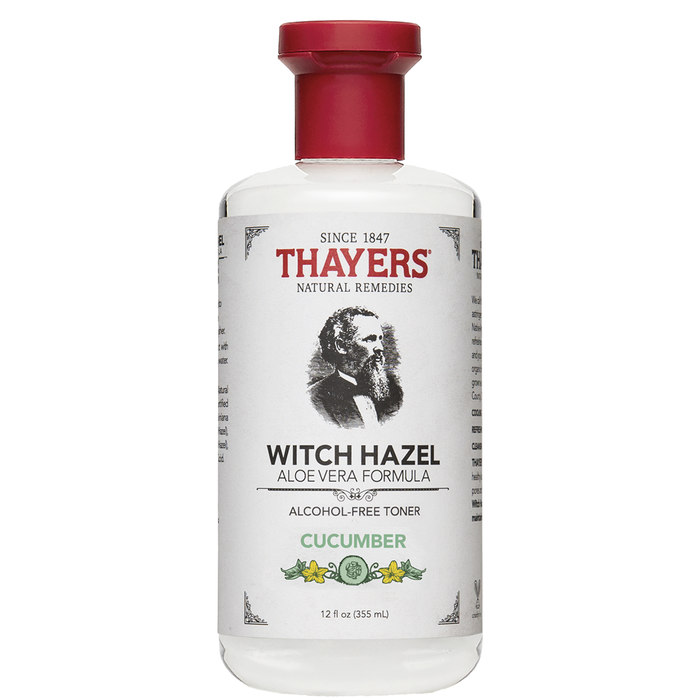 Okay, it must be the addition of Thayers Witch Hazel to my ritual. Claus, Ben is doing just fine. Don't know if you knew this, but he is involved in law enforcement and is very busy. His job and his family occupies most of his time. I talked with him about two weeks ago and all is well. Good to hear he’s doing fine, Johnny ! Please send him my regards next time you have a chance to talk with him. 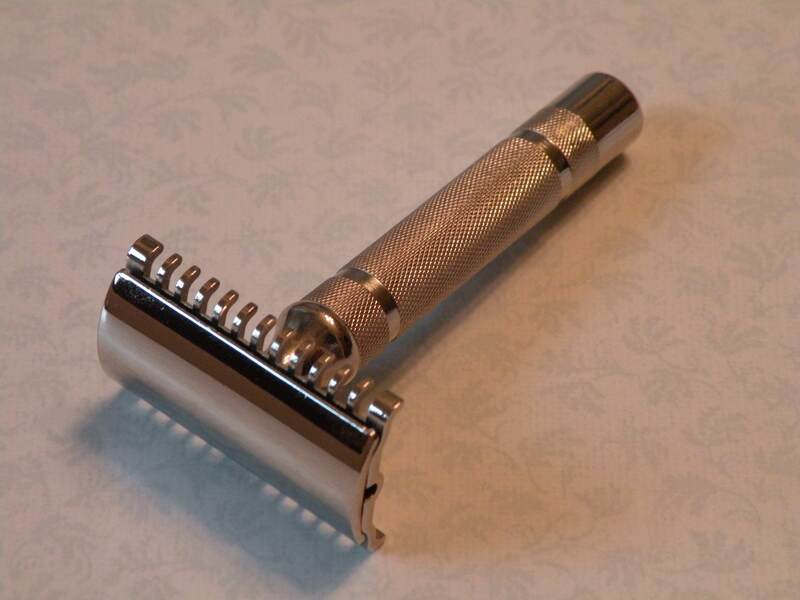 I am most proud of my Gillette NEW LC that I had nickel plated. I think it's beautiful. (11-17-2018, 02:38 PM)shave/brush Wrote: I am most proud of my Gillette NEW LC that I had nickel plated. I think it's beautiful. What a great thread. Like many, I need some time to think this over. Does favorite=beautiful? I guess that's for each to decide. 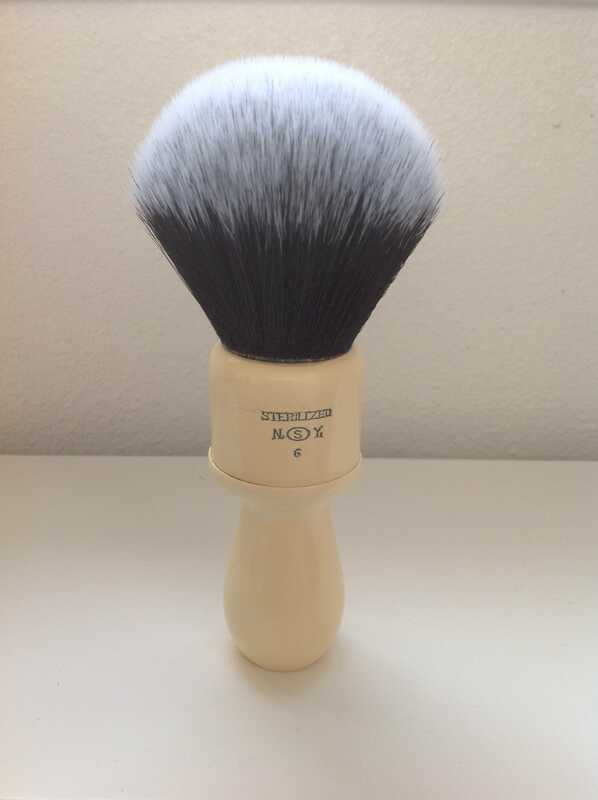 My son gifted me this fine SWK scuttle and Simpson Chubby 1 best brush that I will never part with and then I acquired a NOS Dorko 42 that always gives me an excellent shave even better than any of the Filarmonica razors I have in my den, all in all nothing eye popping gorgeous but none the less very special to me. 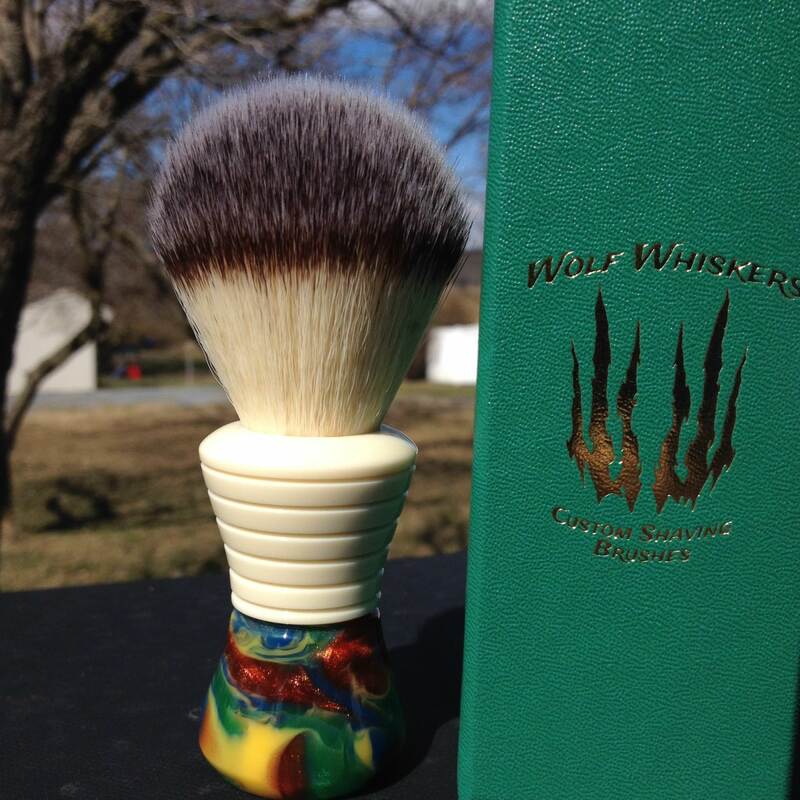 Interesting handle shape; I’m not real familiar with WW brushes. This one has great colors! It’s so swirly Enjoy! 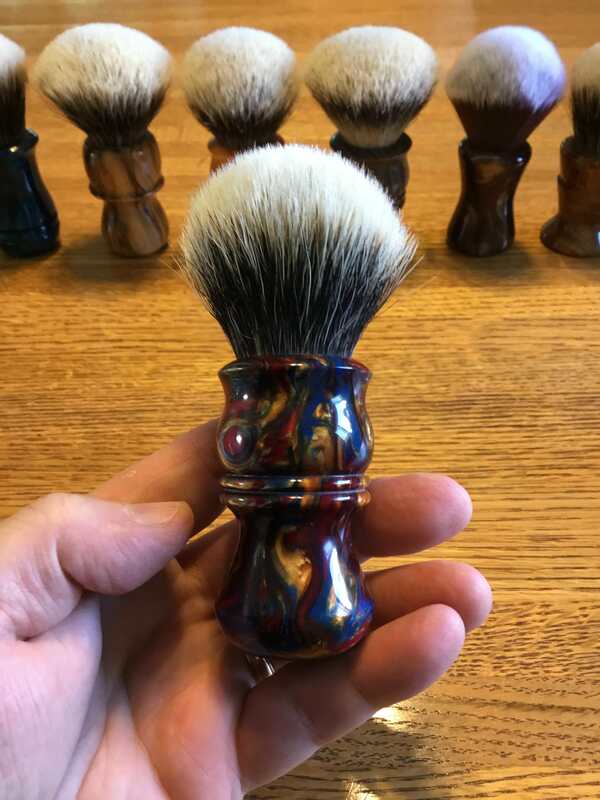 I found this brush handle in a dusty old antique shop in Missouri and have yet to find anyone who can tell me the maker. It's made of acetate and smelled so awesome as I refinished it. The handle is hollow and very lightweight making it top heavy with the 28mm flea bitten boar knot it wore. I filled it with epoxy wetted sand and plugged in a big old tuxedo knot. I find it not only useful but very beautiful. 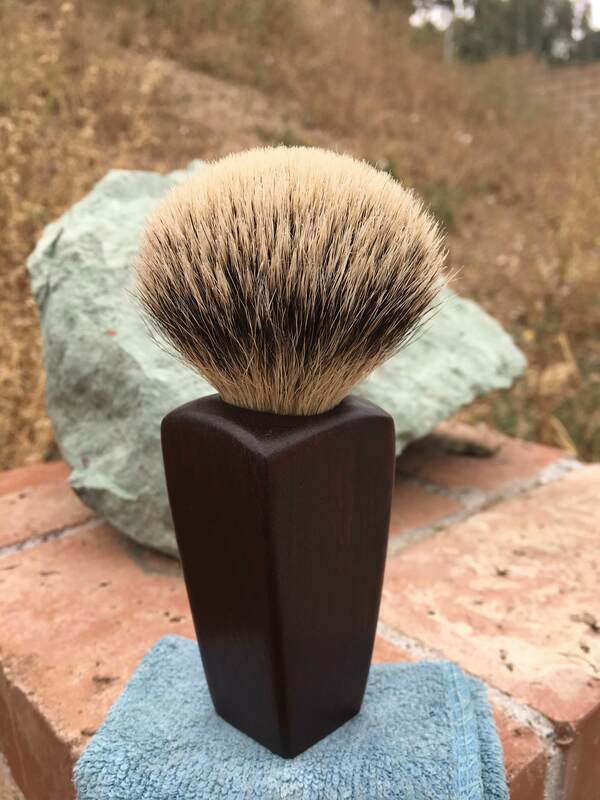 My favorite of all the brush restorations I've done. 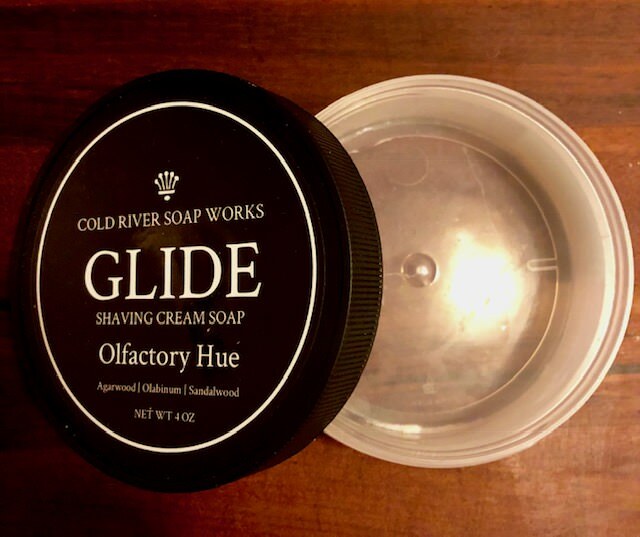 The most beautiful thing in my den is an empty container of soap, balm, or aftershave. This signifies a wonderful journey filled with great shaves, and the excitement of what’s yet to come.